North America loses its last representative to Team Secret. Despite knocking Na’Vi and Mineski out of the DreamLeague Season 11 tournament in earlier rounds, J Storm couldn’t keep their run going against the top-ranked Team Secret. J Storm has shown great improvement over the course of the Dota Pro Circuit season, and they had yet to drop a match in their lower bracket run heading into their meeting with Secret. Unfortunately for J Storm, Secret has been a dominant force in every Major thus far, with DreamLeague Season 11 included. The first game saw J Storm push forward with full confidence in their abilities, only to get smacked down by Secret’s own push. The European power cleared J Storm out of the laning stage and clinched game one easily. Game two was just as quick, with another series of excellent team fights and laning by Secret that led the game to less than 30 minutes. The emphatic victory was a display for Secret, who seemed determined to make up for the fact they were actually in the lower bracket. Michał “Nisha” Jankowski helped seal the deal for his team during both games. In game one, he played a stellar Phantom Assassin that totaled 16 kills. He followed that up with a Juggernaut that led the charge in game two. 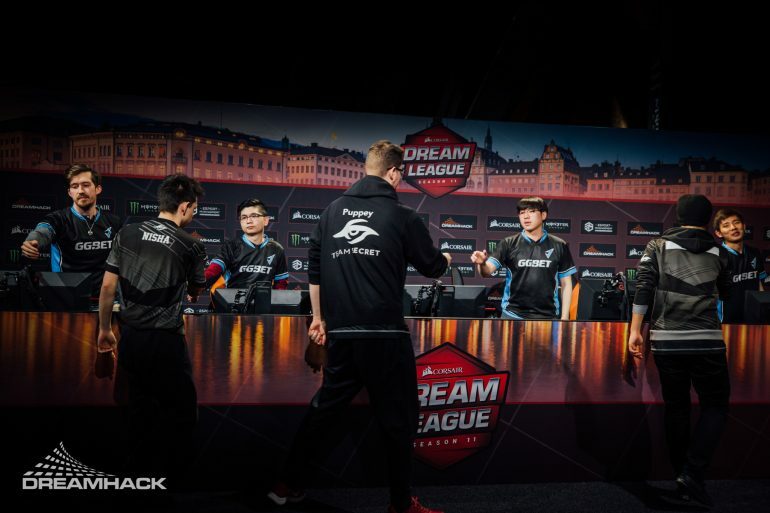 Secret will play the winner of Keen Gaming and Fnatic, who play March 22 at 1:30pm CT.